There is a door at the end of a silent corridor. And it's haunting Harry Potter's dreams. Why else would he be waking in the middle of the night, screaming in terror? 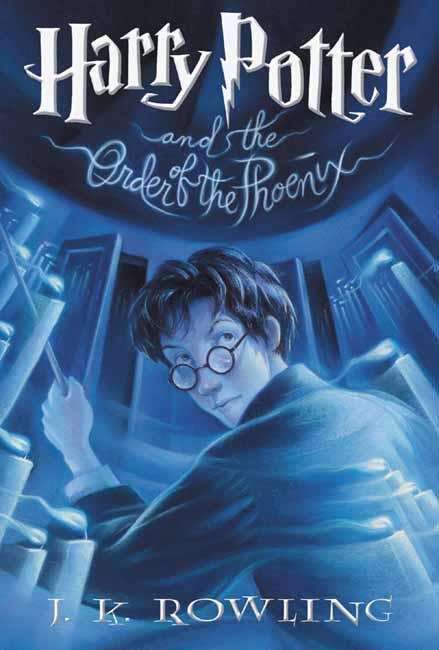 Here are just a few things on Harry's mind: -A Defense Against the Dark Arts teacher with a personality like poisoned honey -A venomous, disgruntled house-elf -Ron as keeper of the Gryffindor Quidditch team -The loming terror of the end-of-term Ordinary Wizarding Level exams ... and of course, the growing threat of He-Who-Must-Not-Be-Named. In the richest installment yet of J. K. Rowling's seven-part story, Harry Potter is faced with the unreliability of the very government of the magical world and the impotence of the authorities at Hogwarts. Despite this (or perhaps because of it), he finds depth and strength in his friends, beyond what even he knew; boundless loyalty; and unbearable sacrifice. My son enjoyed reading this on the computer in nice big print.